In this episode Dr. Cawthra sits down with Dr. Jonathan Markley, associate professor of history at CSUF. Dr. Markley, a native New Zealander, talks about his archival research and shares what he has learned about his family's involvement in World War I. 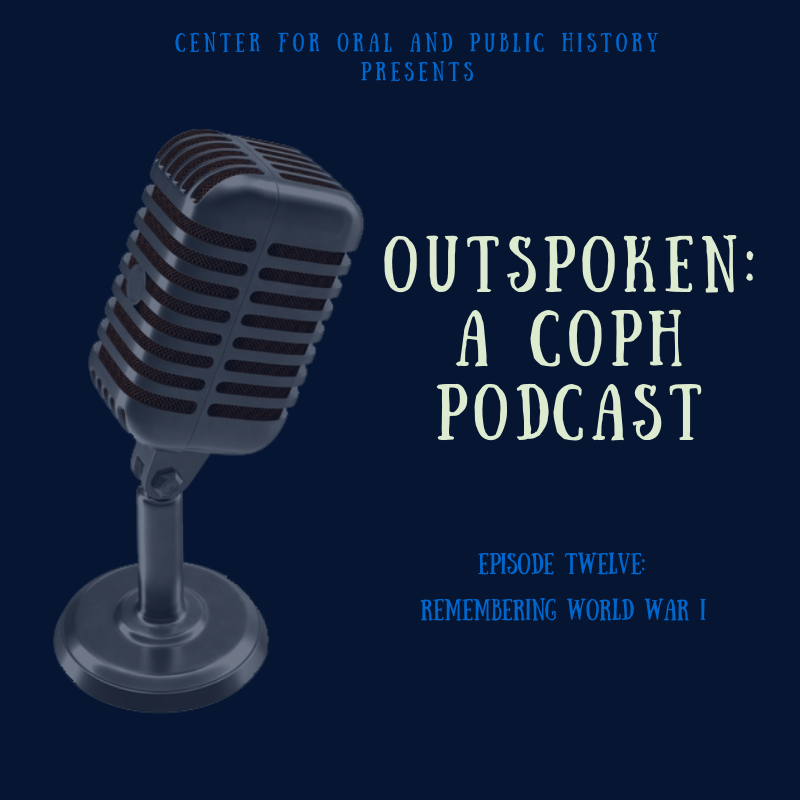 Later, COPH archivist, Natalie Navar, introduces clips from oral history narrators who share their experience of the Great War. Enjoy episode twelve and don't forget to follow us on SoundCloud and subscribe to our podcast on iTunes .